The Client wanted to identify products and patents infringing on their novel technology for continuous strip alignment and simultaneous cooling of metal strip. Ingenious conducted comprehensive patent and non-patent searches on a vast library of subscribed databases. With the help of our in-house Artificial Intelligence based Infringement Analytics Suite of tools, we identified patents, products and scientific articles that infringed on the Client’s technology concept. The final report contained a detailed Claim Mapping Chart comprising a clear visual layout of the infringing features. 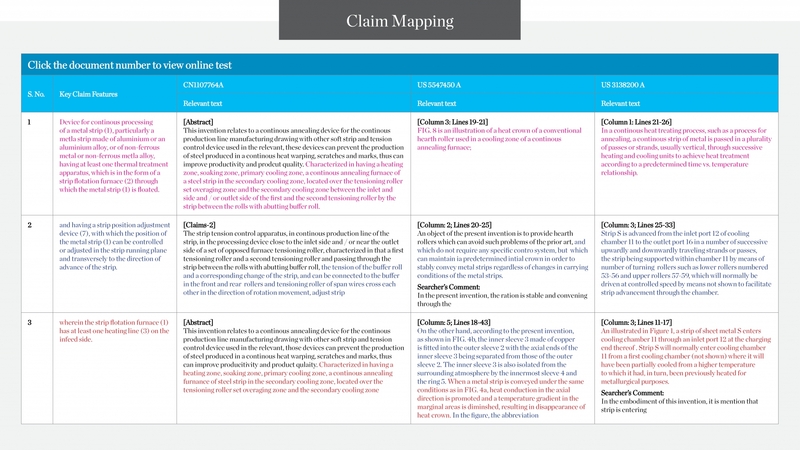 The Client was able to use Ingenious’ Claim Mapping Chart as evidence of infringement against two players identified in the study.